We love living in Arizona; we like the people and enjoy the small community atmosphere. 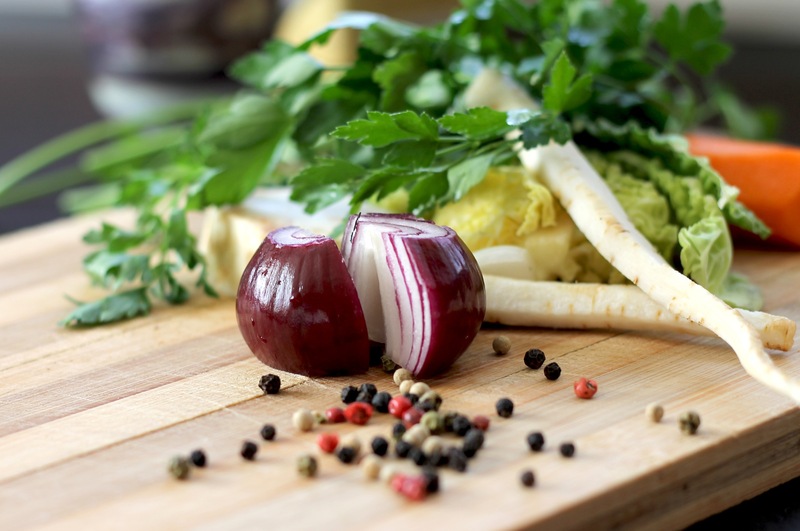 We love to cook with the freshest ingredients, exotic herbs and spices from all over Thailand. We opened Tom Yum Thai Restaurant to show our friends and neighbors the wonderful flavors and aromas of Thailand with our home made dishes. The combination of high heat of the wok, and constant agitation during the cooking process creates flavors and textures that are crisp, sharp, and clear. Mon-Fri 11:00AM to 3:00PM The combination of high heat of the wok, and constant agitation during the cooking process creates flavors and textures that are crisp, sharp, and clear. Two boneless pieces of fish. 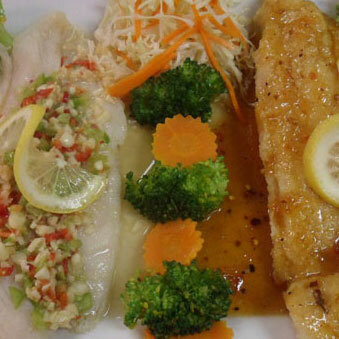 One is steamed top with spicy lime dressing. 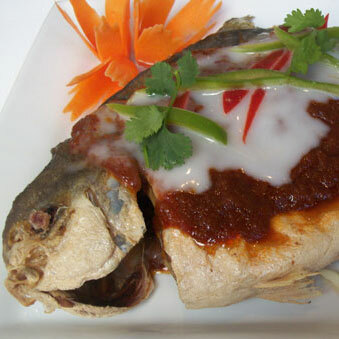 The other is deep fried top with sweet chili sauce. 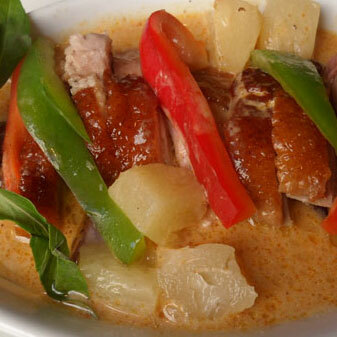 Duck meat in red curry sauce with bell pepper, pineapple and tomato. 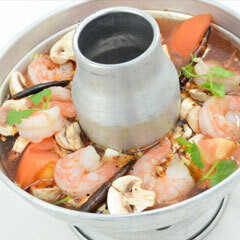 World renowned Thai "spicy and sour" soup has a wide mix of Thai herbs, chili paste, mushrooms, tomatosand cilantro.